Wow I cannot quite believe how much of a focus there has been on skincare on my blog over the last 4 weeks! I said I wanted to make this a huge focus, and that it has been! I love it! So, that being said I really wanted to talk to you about these incredible products I have been trying out over the last few weeks! They are not only really really good, but they are also super affordable and easy to use! I was very kindly sent these products to review by the lovely ladies at Boots and I have been religiously working my way through each of the products everyday for the last few weeks, and so now I feel like I am in a very good position to be able to chat to you all about them. 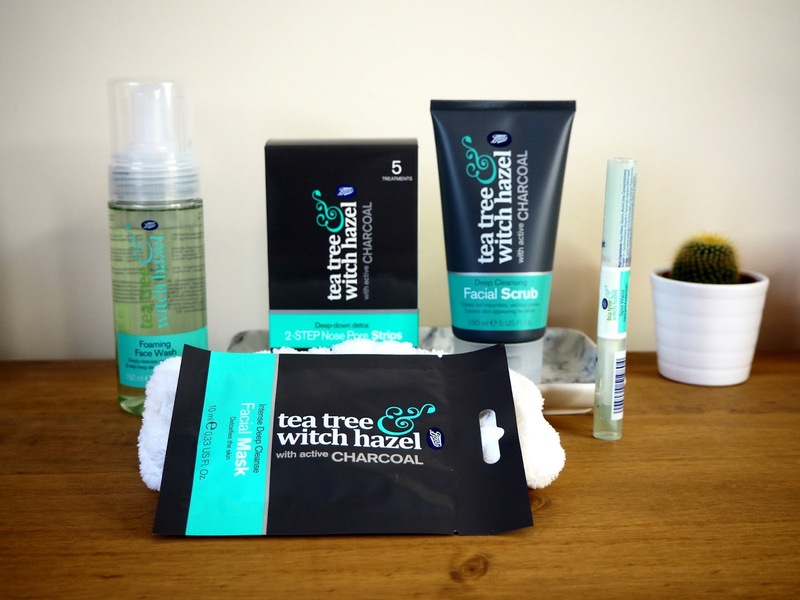 So, as I said these products are extremely affordable, they are exclusive to Boots only and the tea tree and witch hazel range is the number one medicated brand from Boots. I actually do remember using some of these products back in the day, when I was first introduced to face products back in my teen years! However, now I have been reintroduced to them I have learnt to appreciate how they work and the effects they have on my extremely oily but overall combination skin. As I have said above, the name of this range is specifically tea tree and witch hazel, and that is simply because all of the range includes these as ingredients - its that self explanatory. 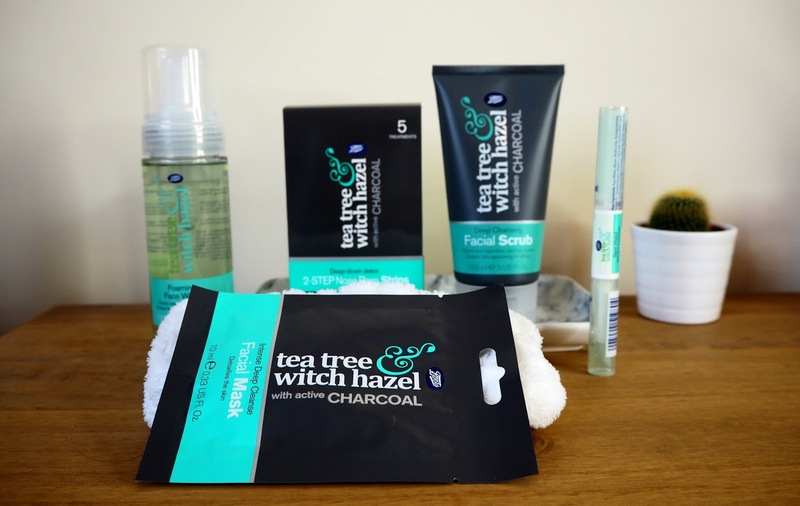 From reading up on these products I have learnt that tea tree is beneficial because of its anti-bacterial and cleansing power and witch hazel is known for its calming benefits but is also great for reducing redness and soothing any blemishes you may currently have. When the girls approached me about reviewing these products they asked me what my main skin complaint was and I just simply said extremely problematic. Problematic essentially means spotty, acne prone, oily, and all of them skincare complaints! She then offered me the opportunity to try some of the charcoal range, to which I was super excited and jumped at this opportunity! Charcoal is essentially supposed to be fantastic for deep cleansing and drawing out all of them impurities trapped within your pores! I was lucky enough to be sent the deep cleansing facial scrub as well as the nose pore strips and a sample of the intense deep cleanse facial mask. I chatted about these charcoal products recently in a new in products video over on my channel and all I could really say was that the moment you pop these on your skin you can REALLY feel them doing some good. Their purpose is solely to cleanse your skin and bring out all of that rubbish that is in your pores, certainly not to look or smell pretty - because it really doesn't! Its a black and grainy consistency and really does mean the business! Overall I have particularly loved using the charcoal products because I really do find they have made a difference to my skin! 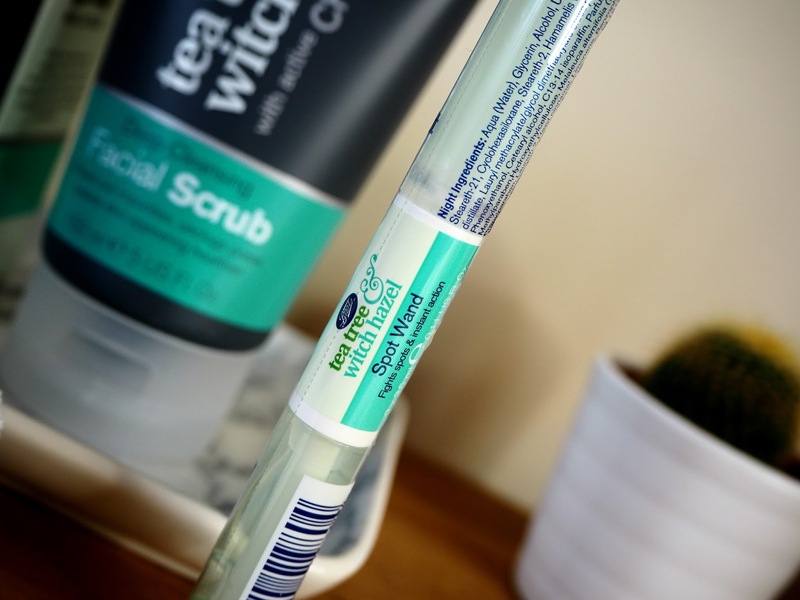 Instantly after using the scrub I feel as though its made my skin feel so much smoother and really exfoliated my skin as it should! Similarly, I am also completely smitten with the nose pore strips!! In fact, the first time I used them I tried them out right before bedtime when I had completed my whole skincare routine and showed my boyfriend the effects of 'step one' and he was so unbelievably shocked by it that he demanded to use it himself! You can immediately see that the nose strips have removed any dirt just sitting in your pores and given them a really deep and thorough cleanse! I would highly recommend trying out the charcoal products if you have skin exactly like mine! I have found it to be super effective and I LOVE how it leaves my skin feeling afterwards!! From the original tea tree and witch hazel range I was also sent the foaming face wash and the spot wand. The foaming face wash is actually the number one face wash in Boots, and is designed to deeply cleanse and refresh the skin. I use this product as my daily face wash now. I am usually never that committed to a face wash that I take it everywhere I travel. Instead they usually just sit in my shower until empty and I take my travel minis away with me when I am on the move. HOWEVER, this one comes with me everywhere because I love it so much! The tea tree makes my skin feel super refreshed and SO clean afterwards! At such an incredible price I really could not recommend this product enough, I love it! Finally, the last product I have been trying is the spot wand which has got 2 ends, one for day and one for night. This product is designed to target spots and reduce redness and swelling! As much I have been loving this product so much, I find it very difficult to sway away from my trusty Freederm gel because I know it works for my very angry acne spots and reduces the redness and swelling which in turn makes them less noticeable and painful! I would definitely recommend trying this spot wand if you are still on the hunt for that spot treatment to help reduce redness and directly target spots! 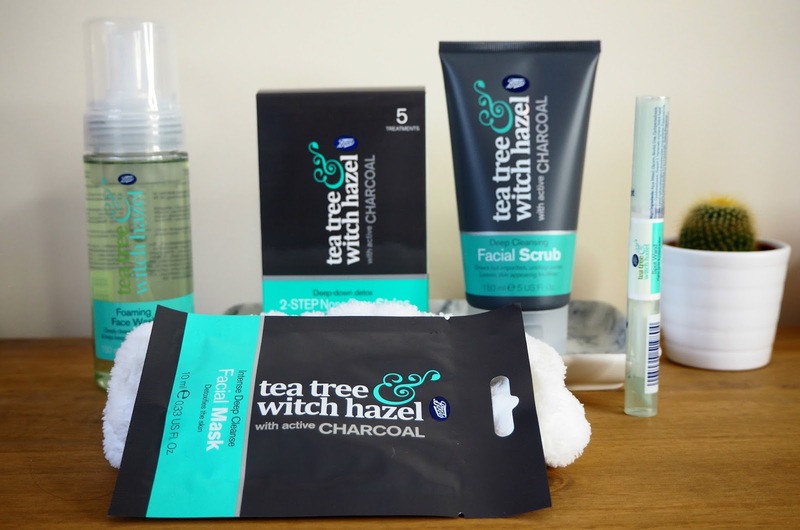 Also in this tea tree and witch hazel range there is a berry range of products which are the equivalent of the charcoal essentially, and these are designed to refresh! Also there are other products such as jelly moisturisers, exfoliating pads, cleansing wipes, toners, body scrubs etc. This range is SO worth looking into because it is honestly so good, and very very affordable! Overall my opinions of the range of products is pretty good! 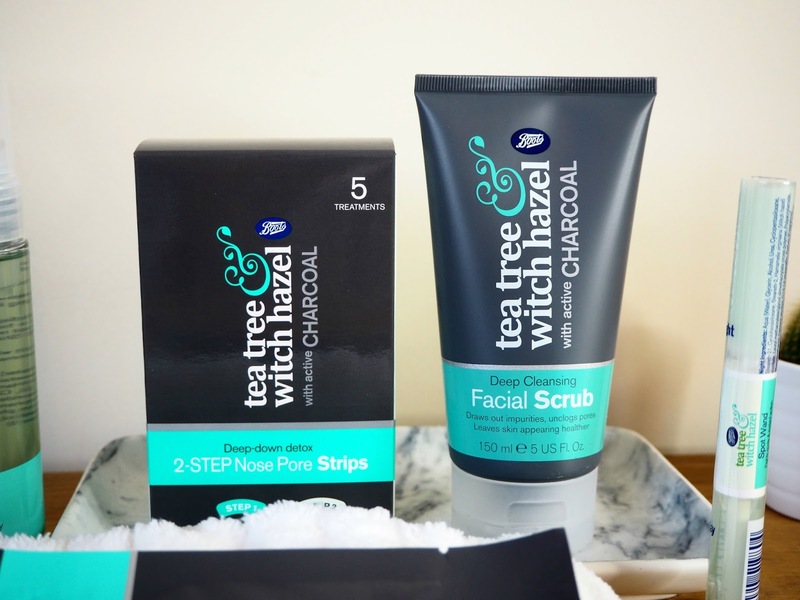 In particular I love the charcoal facial scrub and the tea tree and witch hazel foam wash and know for a fact that these are going to be repurchases - once I find a product I love and works, it is very rare that I do not buy it again! 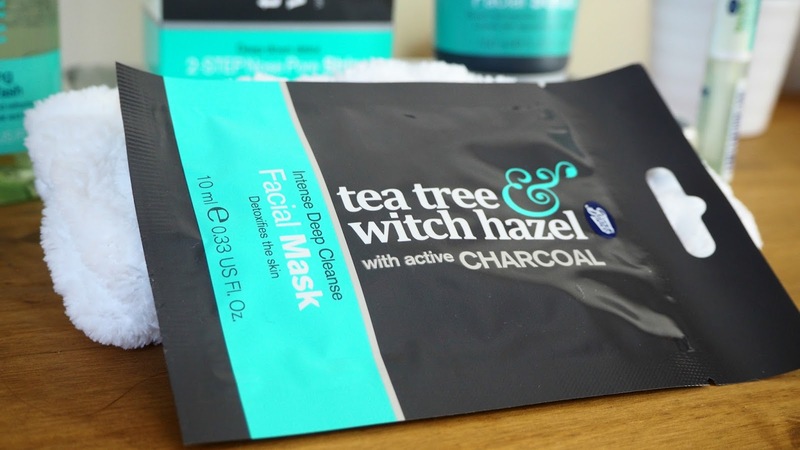 Let me know if you are loving any of the tea tree and witch hazel products, I would love to hear! Also don't forget to head over and check out my 'new in for january' video over on my channel because I have mentioned these products over there also! !